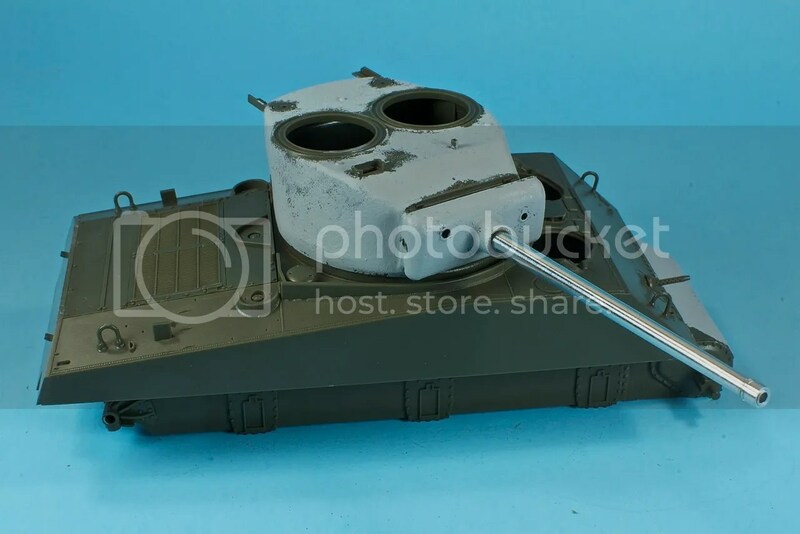 Maybe I’m just not as savvy with armor kits as I am with aircraft, but to me, building up the Tasca M4A3(76)W has felt very much like building up a Dragon kit. Very, very good detail. Small sprue gates. Excellent fit of the major pieces. Moments of engineering brilliance, and moments of head-scratching annoyance. The biggest letdown of this kit? The turret. The beautiful cast texturing is completely, totally compromised by the division of the turret into upper and lower halves. This leaves a nasty seam that has to be hidden…in the process rendering all that lovely cast surface pointless. 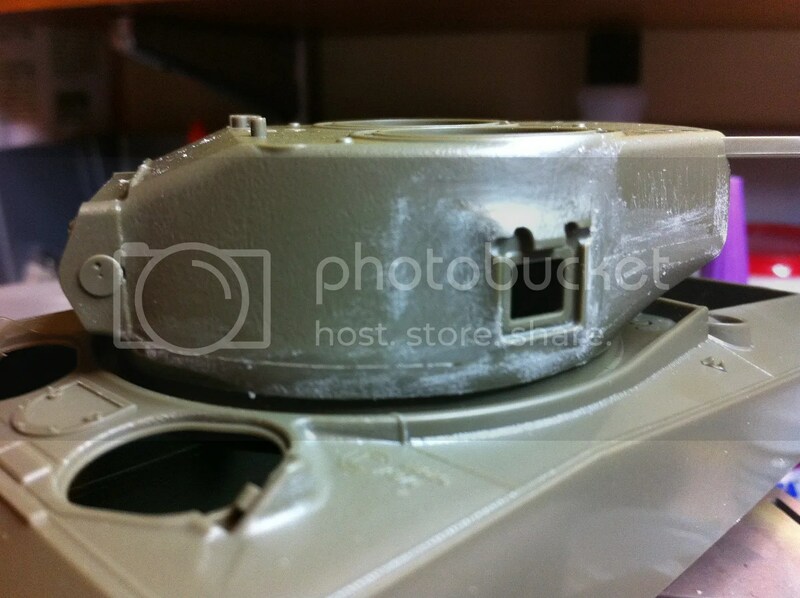 I settled the problem by slathering the turret with Mr. Surfacer 500, and dabbing the surface with a stiff brush to replicate the cast iron effect. While I was at it, I did the same to the mantlet and transmission housing, just to be consistent. The other big frustration was the needless fussiness of the front fenders. They call for that frustrating, zero positive location assembly that one needs three hands to do properly. Other than these points of frustration, the M4A3(76)W builds up quite easily and quickly. While I still have the suspension bogies left to tackle, the hull and turret are pretty much at the paint stage, which means it’s time to pack this one away for the move and break into another armor kit. Next Post Tanks. A Lot.